SDRAM library was designed to be used on STM32F429-Discovery, STM32F439-EVAL and STM32F7-Discovery boards. With single define, library will know which board is used and which settings should use to get proper working for RAM. FMC peripheral is used for driving SDRAM. SDRAM pins are different for different board. Using proper defines (explained below) you can select which board is used. 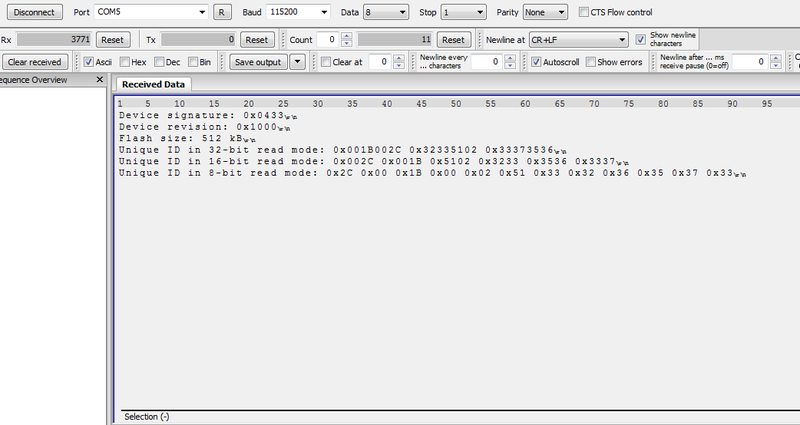 For full pinout list, download and open SDRAM library and check header file with description. The most important thing is to tell library, which board is used in target system. There are 2 possible ways to do that. One (and I prefer it) is to check my DISCO library and follow instructions which define you have to set for proper board, and another, explained below. If you choose option one, then you will have no worries in my future libraries where library needs to know exactly which board is used! The second option (I don’t prefer it) is, to set define only for this library. Copy define corresponding to your board into defines.h file or make a global defines in compiler’s settings. I made global defines in Keil uVision under “Options for Target” -> “C/C++” tab. * @brief Initialize custom pins callback. Project is available in Github, download all libraries below.